For all intents and purposes the two and a half week odyssey through the southwest and the heartland of America, with a brief foray into the land of Dixie was a business trip. Presentations, education, and Kingman area marketing were the foundation for this truly epic adventure that spanned twelve states and almost 5,000 miles. I have slowly built a coalition of organizations and business owners that see value in my ability to promote the Kingman area, as well as Route 66. This particular trip was sponsored by Kari Jo Hill, the Promote Kingman initiative (the host for an exciting event that will take place on November 19), Savon Bath Treats, Grand Canyon Caverns, MyMarketing Designs, the Hualapai Tribe, and the Route 66 Association of Kingman. As I truly enjoy the new job and the latest chapter in life shared with my dearest friend, there are no complaints even though at times the schedule was rather grueling. In coming weeks I will be sharing details and suggestions for great restaurants, unique lodging experiences, sites to see, festivals to add to the calendar, and a review of the new Chevy Cruze, a vehicle that was thoroughly tested on this trip. I will also provide details of what was garnered from meetings with business owners, tourism and economic development directors, city managers, Main Street Program directors, and attendance of the Miles of Possibilities Conference. Today, however, I will give just a few of the highlights from what was a most memorable odyssey made even more enjoyable by the people and friends met along the way. The first and last days were the most difficult as both required the covering of many miles, which meant that there was little time for dawdling, seeing the sites, or a great deal of visitation. Still, the landscapes traversed are among the most beautiful in the world and we did find time, on the first day for a few minutes with David Heward of Holbrook, and a lunch shared with Rhys and Sam Martin in Gallup. Day two was long and tiring; a drive from Las Vegas, New Mexico to Shamrock, Texas with a couple of meetings along the way. 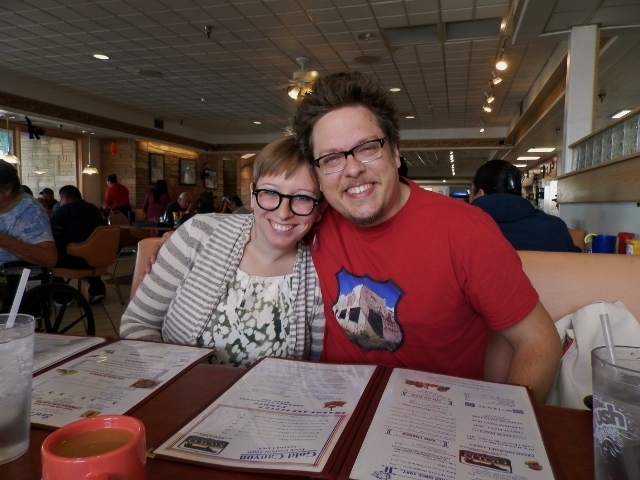 We missed the Mueller’s in Tucumcari but did enjoy lunch with David Brenner of the Roadrunner Lodge (Amanda was out of town). Then we slowed the pace rather dramatically; the next day was a leisurely drive to Claremore, and the day after, only as far as Joplin via 13.5 miles of Route 66 in Kansas. We played tourist with stops at places like Red Oak II, made a few new discoveries, attended more meetings, had dinner with friends and associates, met some interesting people, talked with old friends, missed a few others, and distributed promotional materials from the Kingman area. This theme continued for the remainder of the trip. There were stops at the Coleman Theater where we listened to music from the Phantom of the Opera played on the vintage Wurlitzer organ during a raging thunderstorm, and a somber visit to a German military cemetery in Oklahoma. One evening included hugs from Ramona at the Munger Moss Motel where we shared dinner on a rather chilly evening with a tour group from Australia. Another was seasoned with the music of the Road Crew and the laughter of friends at Belmont Winery during Cuba Fest. On another stormy night filled with roaring thunder and flashes of lightening bright enough to read by, my dearest friend and I were snuggled deep in a century old bed at the historic Corner George Inn, an 1880’s hotel and saloon in the charming village of Maeystown in Illinois that is accessed by crossing a stone bridge built in the 1850’s. 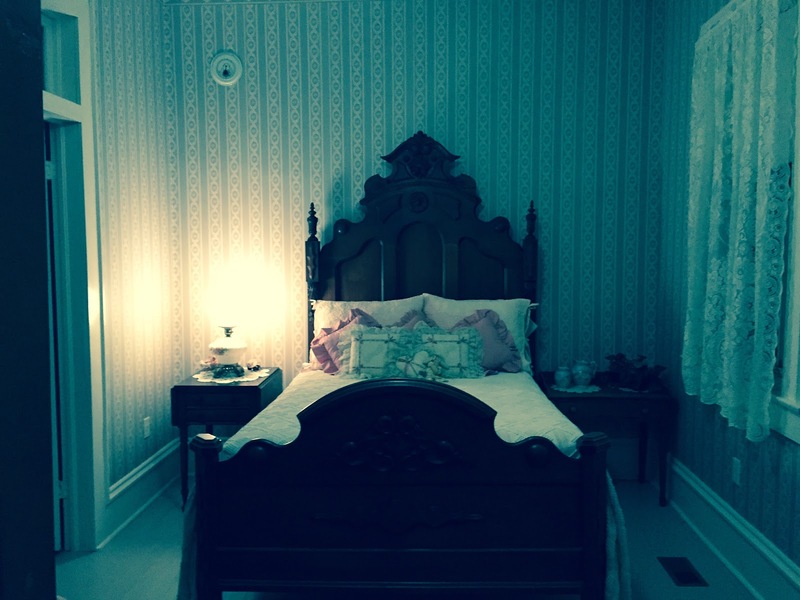 Another delightful little oasis for the weary traveler was found in Cortez, Colorado on the return trip. 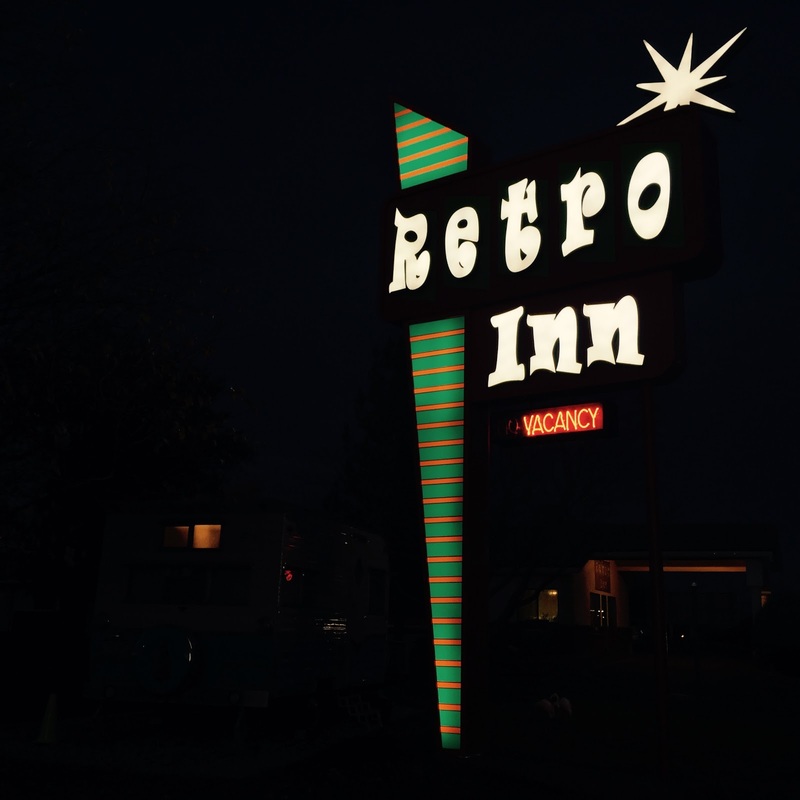 The Retro Inn that dates to 1953 is exactly what the name implies, a courtyard lined with time capsules. Clean, reasonable rates, and an attention to detail in presenting the illusion in each room that it is 1958 or 1960 place this motel on our favorites list. Another historic chapter in the Route 66 story was the Miles of Possibilities Conference that took place in Bloomington, Illinois. The organizers should be proud of a job well done. 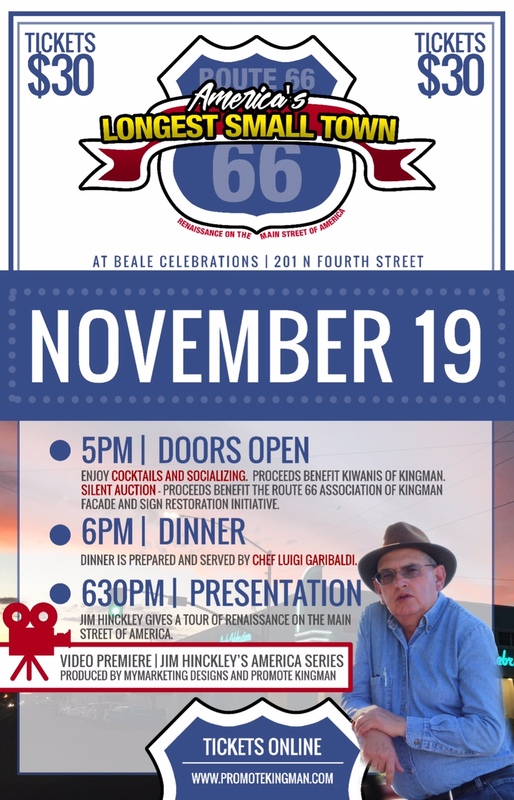 I was quite honored by the opportunity to speak about the Route 66 renaissance, with Kingman as an example, at the event, and a great deal was learned from attending a few of the presentations. As a bonus there was ample opportunity to visit with old friends, and the event was designed to showcase the charms of historic Bloomington/Normal. I was also quite honored by an opportunity to speak about 90 years of adventures on Route 66, and the history of that storied old highway in the southwest at the beautiful Missouri History Museum located in Forest Park. 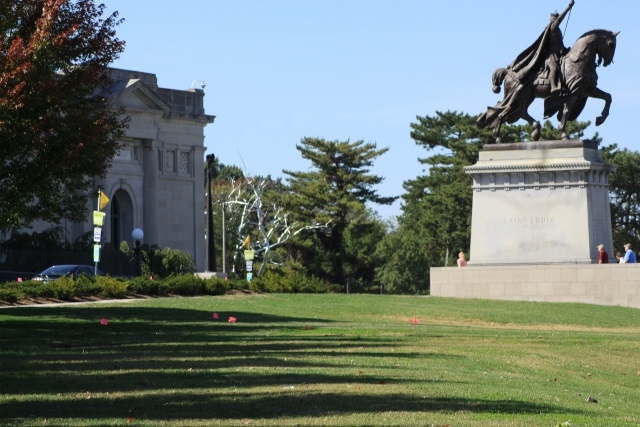 Even though an early alignment of Route 66 passes through a corner of this beautiful park, many enthusiasts miss it when cruising through St. Louis. The museum is hosting a superb Route 66 exhibit through next summer. In addition, to touring the museum and exhibit, we had the privilege of enjoying an orphan car show that was taking place on the same day as my presentation. Food is always a big part of our adventures be they here in Arizona or to Europe. We revel in the discovery of historic, quirky, or fascinating restaurants and new taste sensations. This trip was no exception. One rainy afternoon we enjoyed a superb beef stew at Clanton’s Cafe in Vinita, followed by apple cobbler. On another day it was an excellent Shepherd’s Pie and pleasant conversation with Nick Adam at the Ariston Cafe. In Colorado we discovered a quirky named restaurant where the food was marginal at best. 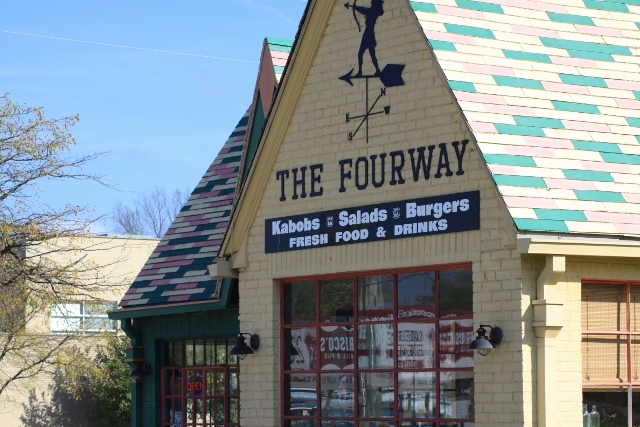 In Cuba, Missouri we sampled the lamb burger with a Greek touch at the new Four Way Restaurant and was pleasantly surprised. In short, it was a successful and fun filled adventure. Those who invested in my promotional endeavors should be pleased. As noted, in coming weeks I will provide more detail. Moreover, as I will be attending the events in Los Angeles in a couple of weeks, there will be even more to share.